When you need replacement exterior siding installed on your home in Pensacola, Florida, there’s no reason to look anywhere else than Majors Home Improvement. We are a local, family-owned company that has been serving homeowners since 1997 with quality home improvement products and personalized customer service. Better energy efficiency – This siding is equipped with an insulated polystyrene foam backing, which will help your home maintain a more optimal indoor temperature while reducing the workload on your heating and cooling system. 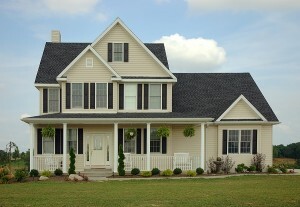 Better wind resistance – This siding can withstand winds exceeding 200 MPH without failing in any way. Better impact resistance – This siding will resist dents, scratches, and other damage, remaining in like-new condition for decades. Best yet, our exterior siding is available in multiple color options and wood grain textures, so you’ll be able to find a style that complements your home’s exterior easily. You can expect expert installation services from our factory-trained technicians who are efficient and precise in their work, and always respectful of you and your home. What’s more, you’ll receive a warranty for both the parts and the labor, ensuring your investment is protected. Contact Majors Home Improvement today to learn more about our exterior siding for Pensacola, FL, area homeowners. We’ll be pleased to schedule your in-home consultation at your convenience.